Sharedmobility.news asks Dr. Eric Bruun, about ride sharing, blockchain, road congestion and others super interesting topics…. 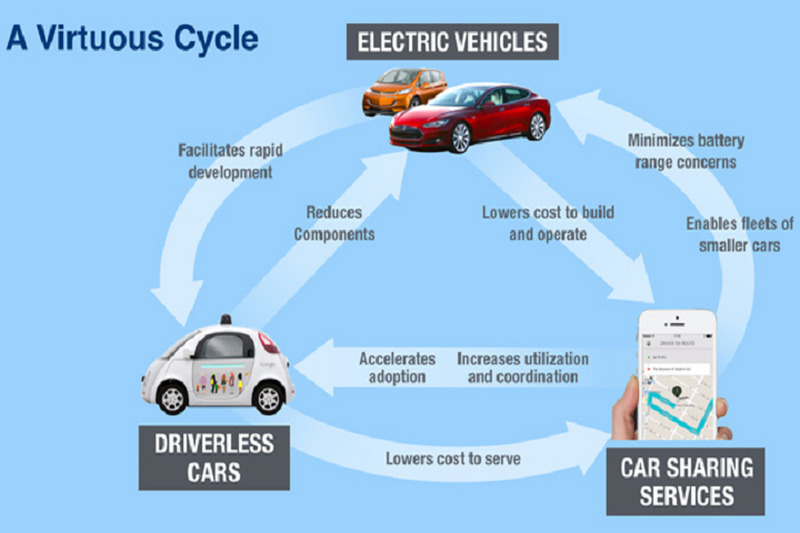 1-Why is the ride sharing tech a key technology for the automotive industry? I don’t think it was their idea, but they have seen the importance of joining in with other elements of the transport industry. I think it has become clear to them that a good portion of auto use in the future will be “power by the hour,” a term I borrowed from the US rail freight industry where they rent locomotives. I would distinguish ride sharing from car sharing. The ride sharing market will call for vans around 10 seats for multiple parties, while car sharing will use smaller vehicles aimed at one party, not sharing with strangers. 2- What will be the role of blockchain in the future of transportation? Who can say for sure? 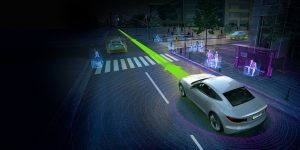 It is a nascent technology without historical analogues, unlike some of the allegedly new ride-share modes that are in fact very similar to long existing modes. Uber and Lyft, for example, have cost structures very close to traditional taxis and are paid for with the traditional means of credit cards. I suspect that blockchains will go a long way towards addressing the reservations and payment problems preventing the availability of shared-ride modes to those without official government ID or traditional bank accounts. This lack of ID and money is common even in the USA, but certainly even more true for the vast majority of persons living in developing countries. With blockchains, an individual might be able to establish their identities unofficially and reuse it. 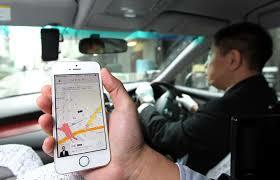 For those without cash in the bank or credit cards, shared rides could perhaps be paid by stored value. This stored value might be obtained by bartering other goods or services. In this way, transport services become more fungible. 3-What do you think is the solution for road congestion? There is often no real solution to congestion, at least as long as fuel is readily available. Latent demand typically reveals itself when congestion is (temporarily) reduced. In this case, congestion has to be managed. We can do this by pricing by time of day and location. A more blunt way is to restrict the entrance to especially congested areas by charging a flat fee. Pricing becomes more practical and easy to administer as MaaS applications become more widespread. Price levels can also readily be adjusted as demand curves reveal themselves over time. I favor making public transport lanes from existing general use lanes, which could in most cases also include shared-ride vehicles carrying more than X persons, X to be determined on a case basis. In this way, there is an incentive to use more space-efficient modes. occupant vehicle. MaaS applications make the performance of these choices easier to compare. But technology cannot solve everything. There will still need to be a political commitment to allocate parts of the city to the most space-efficient modes and enforce restrictions and access. Again, with widespread MaaS applications, minimum vehicle sizes and minimum passenger load factors can readily be adjusted. 4- Will the big auto companies become mobility companies? They already are moving in this direction. At least three have already invested in either shared ride or MaaS, or both, as a way of helping to steer the development and product offerings for urban and inner suburban mobility. But, in reality, they will most likely remain primarily hardware manufacturers. Much of their market is still outer suburbs and rural applications where people will retain private vehicles much as today. However, I could be wrong. Perhaps there could prove to be more profit from commissions on selling mobility segments than in hardware. The financial sector has higher profit margins than manufacturing, which tends to be extremely competitive and global. The outcome will depend on who else enters the market of MaaS operators and how quickly market share is established. Smaller unaffiliated private MaaS operators could be seen as more impartial providers of information and choices, while public transport agencies, and city/regional governments might expect much lower commissions. 5- Will the driver experience disappear any time soon? There will be limited replacement of drivers, but it will take a long time even in the richest of countries to be fully automated in significant portions of any city. 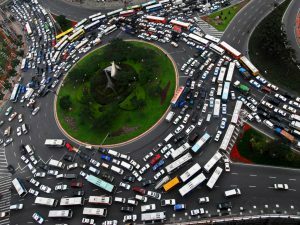 In less developed countries, traffic is far too chaotic and people too impoverished to buy automated vehicles in large numbers in the foreseeable future. It is also true that many people enjoy driving, perhaps not always, but much of the time. They may not be so anxious to pay extra for automation features. The biggest unknown is not the speed of technology development, but government acceptance of automated vehicles mixed in traffic with manually driven and non-motorized vehicles. If it becomes apparent that roadway capacity is actually reduced under mixed manual and automated vehicles, or that some pedestrians and bicycles will freely move in front of automated vehicles knowing they must stop, cities will resist. Banning driven vehicles and putting up fences along busy streets to keep out the non-motorized would not be vote getters for elected officials. 6- Will the cars be replaced one day by bikes in the big cities? This will happen to some extent where riding conditions have improved. Electric bikes will also increase use in hilly cities and when cargo is carried, and this should be encouraged. But they are not a full replacement for larger vehicles. Distances can be too long, weather too adverse, many people will be unable or unwilling to ride, and so on. As with cars, not everyone will want to replace their own bike with a shared one. Carrying bikes along on larger vehicles is particularly promising as an extender of fixed route public transport. Bikes can also be an extender into exclusion zones or locations with very high parking prices for private autos. Thus, I suspect that public transport vehicles and cars will both have increasing provision for people to bring along their own bikes. We are also already seeing the downside from too many ride-shared bicycles. In Chinese cities with free entry for bike sharing companies, there is a backlash against bicycles locked and abandoned or stripped of parts blighting neighborhoods. Appropriate regulation, not just of bicycles, but all shared ride modes, will take some time to develop and disseminate through the public sector. The aim is to have an appropriate balance of short response times and convenience from many vehicles with the reduced mutual congestion and improved financial viability from fewer vehicles. Can Shared Mobility work in small cities or rural areas ?